An air pollution alert has been issued in ... London?! The post-industrial British capital was forced to issue its first "very high" pollution warning on Monday because of cold and calm weather that prevented emissions from cars and wood fires from dispersing. "This is the highest level of alert and everyone -- from the most vulnerable to the physically fit -- may need to take precautions to protect themselves from the filthy air," said Mayor of London Sadiq Khan. The alert was issued as part of a new monitoring system meant to raise awareness about pollution in London, which suffers from elevated levels of nitrogen dioxide and carbon particles more commonly associated with the industrializing mega cities of Asia. The problem is deadly serious. London surpassed the EU's annual limit for nitrogen dioxide exposure just five days into the new year, according to King's College. The university estimates that air pollution is responsible for 9,400 premature deaths in London every year. 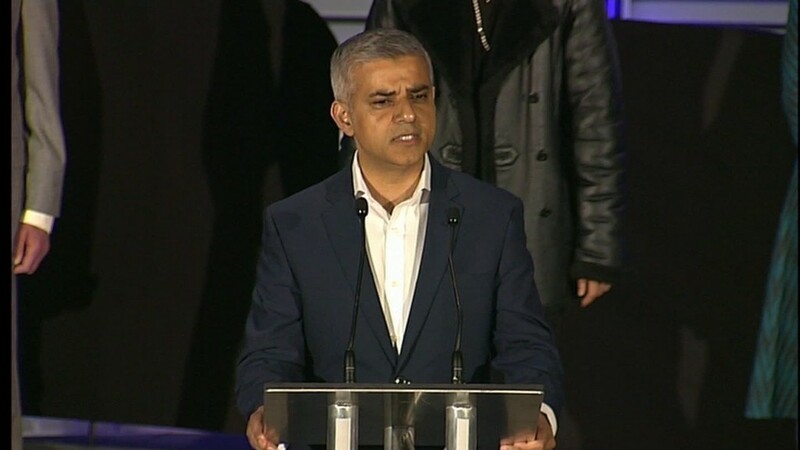 Khan has made cleaning London's air one of his top priorities. He wants to modernize the city's bus fleet so that new buses bought after 2018 will be electric or hydrogen-powered. He is trying to convince other major cities to do the same. The mayor is also pushing to introduce "ultra low emission zones" by 2019, a year earlier than originally planned. Only the cleanest vehicles would be allowed into these zones, with all other cars and buses facing steep emission charges. The city has been investing in cycling projects and planting more trees for several years. And Khan, who took office in May, has also proposed making Oxford Street, one of London's top shopping areas, fully pedestrianized. "The government urgently need to do their bit ... and bring in a new Clean Air Act that finally tackles this problem and means that Londoners don't have to be afraid of the air we breathe," Khan said. The mayor, however, has already suffered a series of setbacks. The government approved a plan in October that will add a third runway at London's Heathrow. And the local council has opposed Khan's plan to pedestrianize Oxford Street, saying it is "unrealistic" and will only serve to divert traffic to surrounding residential streets. 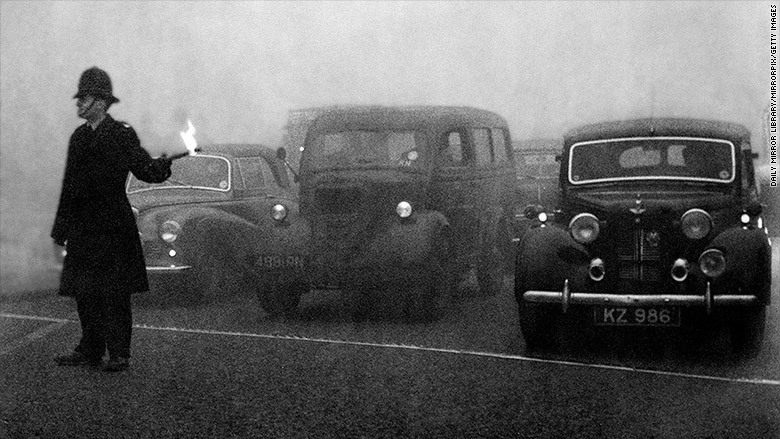 A policeman uses flares to guide traffic during a heavy smog in London in 1952. This is not the first time London has battled against pollution. For decades, the city used to be known for its thick "pea soup fog." In 1952, a thick December smog brought the city to a standstill and killed at least 4,000 people. Press reports from the time claimed that cattle had even been asphyxiated by the pollution. The episode forced the government to pass the Clean Air Act of 1956, which banned emissions of black smoke and directed factory owners to use cleaner fuels. London's inner city coal power stations were closed in the 1980s.